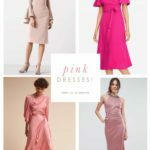 You are here: Home / Wedding Attire / Wedding-Ready Outfits to Snag from the Nordstrom Sale! It’s the season for the Nordstrom Half-Yearly Sale, with deals on everything Nordstrom offers up to 40% off. Of course, we have thought for a long time that Nordstrom has one of the best selections of wedding attire. 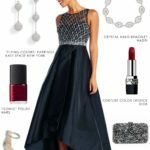 They have great dresses for wedding guests, fantastic Mother-of-the-Bride dresses, designer wedding shoes amazing bridal accessories, and white dresses. 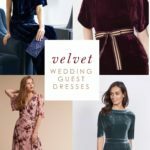 So, it’s no surprise that some of our favorite dresses and outfits for weddings from a few weeks ago are now a part of the sale! 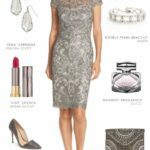 See below for our picks from the deals, including this Mother-of-the-Bride outfit with everything on sale! 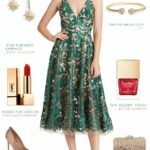 Dress for the Wedding’s Nordstrom Half Yearly Sale Picks! This past weekend, we saw Meghan Markle’s mother, Daria Ragland, wear one of our favorite shades for Mothers in a wedding – soft pale green! 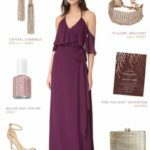 We loved this color before the Royal Wedding, and we love it even more now. This mint green Beaded Mermaid Gown by Adrianna Papell caught our eye a few weeks ago, and it’s included in the sale! 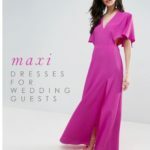 It’s a steal at 50% off!Perfect if you have a formal wedding to attend, or your child is marrying this spring or summer, or next spring or summer and you still need a dress! Here are more looks we love for guests, mothers, and brides from the sale! 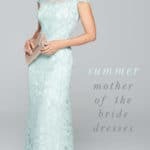 See more wedding guest dresses, Mother-of-the-Bride dresses, and our new Wedding Shop!